"I stood on the common and watched her up in the school library." Francis Turner is a former preacher and truck driver. He is the patriarch of the Turner family, a husband to a strong wife, Viola, and father to thirteen children. Mr. and Mrs. Turner worked hard to move from Arkansas up to Detroit. Their hard-earned money bought a home on Yarrow Street, located on the east side of Detroit. Fast forward fifty years later and Francis has passed away; Viola is ill. Despite the decline in house values and increased abandoned lots in the neighborhood, the Turner house on Yarrow Street still stands. Like so many other houses in the area, it is only worth a tenth of its mortgage. The siblings come together to decide whether to let go of the family home. 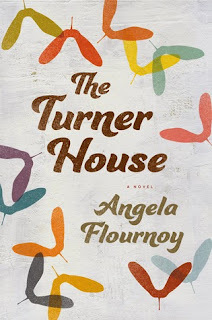 As the children grew up in the Turner house and later went about their adult lives, they didn't interact or keep in touch with each other very much. Although when there is an urgent matter, all thirteen of the children show up and show out. I am glad the author did not overwhelm readers with individual stories of each child. Instead, Flournoy wisely chose to focus on only a couple of the siblings and both parents. I really enjoyed the individual story lines of Cha-Cha (oldest sibling) and Lelah (youngest sibling). But there is another main character that stole my heart: the city of Detroit. Yes, my hometown! It was so nice to read a story with familiar streets, places and events. The Turner House is so beautifully written. It held me from the first line to the last word. I finished reading almost two weeks ago and a couple of the characters are still lingering in the fiction suite of my brain. During the Black Lit Chat on Twitter, I asked the author if other Turner children will be featured in future books or better yet if this could be a series. Flournoy answered she is not sure at this point but still thinks about one of the characters. Hmmm, I can guess which one. I would love to read about other members of the Turner family tree. Pssst! Angela, girl, great job of bringing the stories about your father's twelve siblings and growing up on Detroit's east side to the pages of your debut novel. It is clear you did research and I appreciate how you didn't focus on tragedy but instead reality of the city's economy, gambling and haints. The Turner House is a look into the American dream and a feel-good story about pride and family ties. This fiction story can be appreciated by many bookhearts whether you are a fan of black lit, family/generational drama or just a damn good book. I recommend The Turner House to any and all. 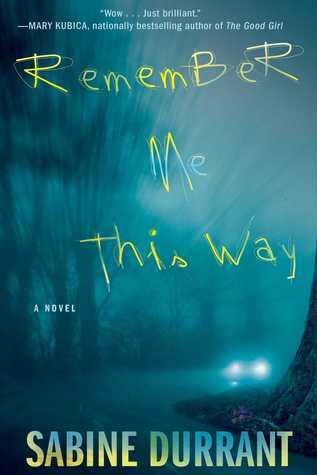 Do add this novel to your TBR pile. Thank me now AND later. 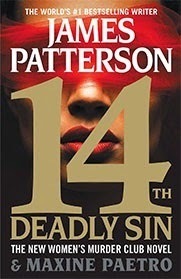 My Series Sunday pick is 14th Deadly Sin, the 14th book in the Women's Murder Club series by James Patterson. For the past couple years, medical examiner Claire Washburn's birthday celebration has been cut short when friend Detective Lindsay Boxer is called away to a gruesome crime scene. A woman is knifed down, murdered in broad daylight. But that is not the major investigation. There is video footage of armed robbers wearing SFPD windbreaker jackets. Are they really cops? Or cold-blooded criminals disguised as Lindsay's co-workers? I have waited for a plot like this. Finally every cop in the SFPD is a suspect—even Detective Lindsay Boxer herself. Meanwhile Yuki switches sides of the law and Cindy is a new author. I have long figured out why I continue reading James Patterson mystery novels despite how often he cranks them out like hot doughnuts on a Krispy Kreme factory line. 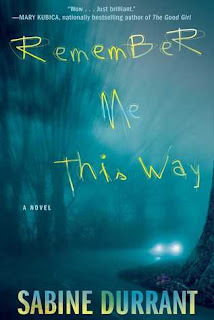 The hope that this next book, this new release, will draw me in like his earlier thrillers. It never fails. I read through the short chapters predicting what will happen and then disappointed when I am right. 14th Deadly Sin wasn't a waste of time reading but it was missing that umph. At this point, I don't know who is to blame: James Patterson or Maxine Paetro? Or myself for continuing on this loyal literary road? "Every woman has one. That name you Google at two o'clock in the morning." Set during the Civil War era, three people have come to Chicago with pain of the past looking to start a future. Madge has the power to heal but cannot mend herself. Hemp has been separated from his wife and struggles with starting a new life without her. Sadie can communicate with the dead but has to make peace with her father. Balm is a story about hope in the aftermath of a terrible war. Halfway into the book, I just became disinterested in the main characters. I don't know if the individual story lines weren't enough to hold my interest or if the story content didn't hold up to the critical time period in history. I wanted more. I expected more from the author of Wench. 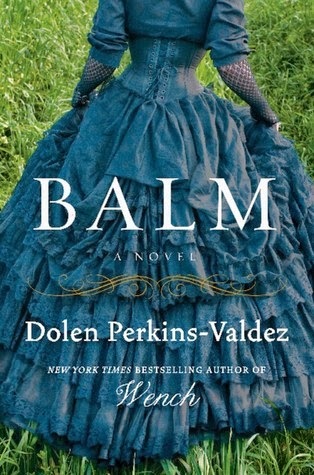 Balm will be published on May 26, 2015. With a cover like this, it will look pretty on a shelf but may not satisfy your literary appetite. God Help the Child is something different. I knew it from the moment I held the hardcover edition in my hands. It was much lighter than ToMo's earlier novels. The summary clued me in to more differences. It is the first novel of ToMo's to be set in present day. The theme sounded too simple. 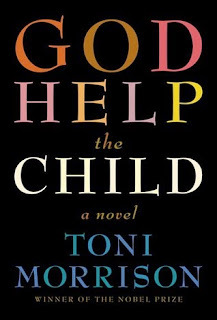 With these differences, set aside, I sat down and read God Help the Child in one day. ONE DAY. Loyal readers of Toni Morrison know this is rare. 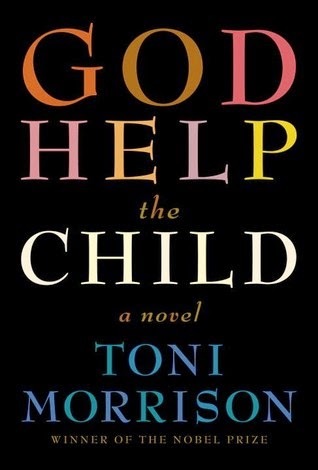 You have to be in the right mindset to start and finish a Toni Morrison novel. You have to interpret words and dig too deep into the characters to finish in one day. So yes, God Help the Child is something different. But Bride is a character I will not soon forget, nor the theme that a childhood shapes the life of an adult. Watch the video below of Toni Morrison explaining why she keeps writing and about her new release. My Series Sunday pick is a tidbit for my NOOK owners. I love how the NOOK lets you download a free sample before purchasing a book. There is nothing like spending money on a bad read. But now NOOK offers a new service that I encourage bookhearts to try. Type the phrase #GiveMe5 into the search bar of your NOOK library daily and see five (5) books based on a theme. 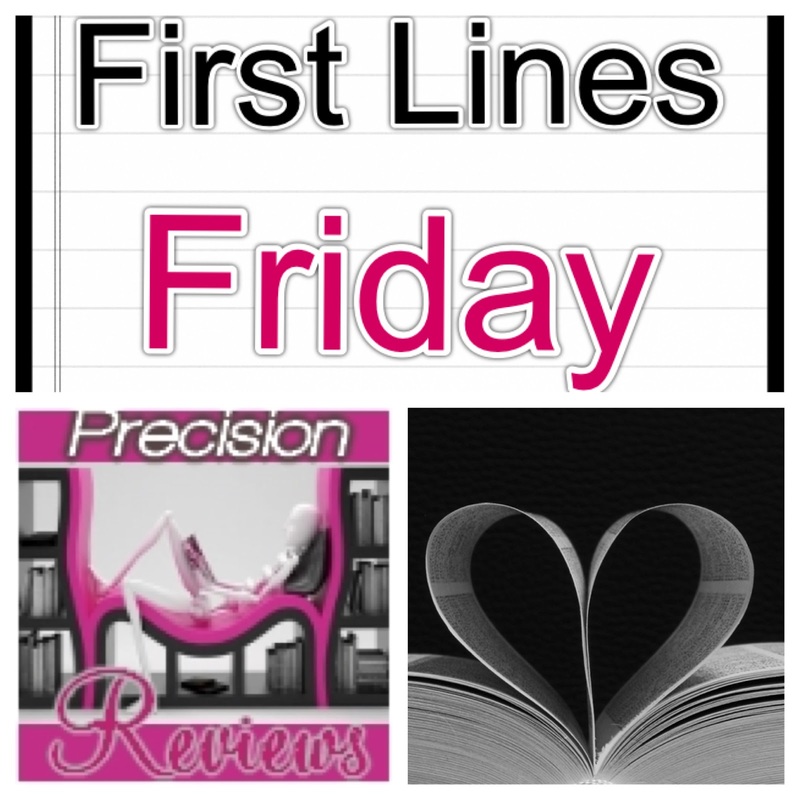 Read the complete first chapter(s) for free. Themes have been books about the brain, books about chefs, books for hipsters, books that CEOs are reading, memoirs and more. I've discovered a few new books and authors with #GiveMe5. "The eldest six of Francis and Viola Turner's thirteen children claimed that the big room of the house on Yarrow Street was haunted for at least one night." And so the novel All the Bright Places begins. What an opener. Goodreads describes All the Bright Places best: "The Fault in Our Stars meets Eleanor & Park in this exhilarating and heart-wrenching love story about a girl who learns to live from a boy who intends to die." I will pause while you go ahead and re-read that description. Violet is counting the days until graduation when she can escape the grief of her sister's tragic death. Finch counts the days he has been awake constantly thinking of ways to kill himself. They were never close pals in high school until they meet on the ledge of the bell tower. But partnering up on a school project saves them both for now. Jennifer Niven, thank you for writing fiction that mirrors real life situations. In her Author's Note she writes, "Every forty seconds, someone in the world dies by suicide. Every forty seconds, someone is left behind to cope with the loss. An estimated 2.5 million Americans are known to have bipolar disorder, but the actual number is a good two to three times higher than that. As many as 80% of people with this illness go undiagnosed or misdiagnosed." Jennifer Niven includes a help line resource guide at the end of the novel. Again, thank you. Bookhearts, we may not be able to change the suicide statistic, but we can help stop the stigma surrounding mental illness and therapy. I hate to sound like a commercial, but seriously if you or someone you know suffers from depression, speak up and ask for help. Do not ignore the signs. Do not go undiagnosed. See the book trailer? Read the quote above it? Are you all in your feelings too now? I have this bookish quirk about reading a book before it is adapted to a movie. So when I learned this novel was headed for the big screen starring Elle Fanning, I downloaded the eBook and started reading it during the 24-hour Read-a-Thon. I was not prepared for the emotional ride it took me on. 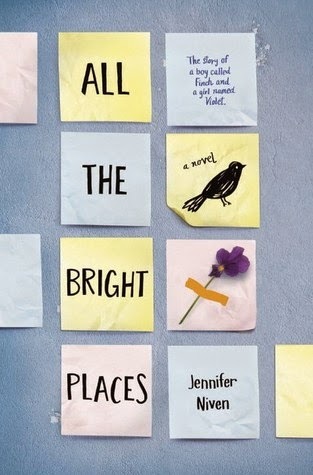 Jennifer Niven's YA debut is one of those books that made me want to throw it across the room. I would've had I not feared cracking my NOOK screen. Not because it is poorly written. Not because the plot is terrible. Not because of cookie-cutter characters. Not because manic depression/bipolar disorder/depression is stereotyped or glossed over. Not even because the romance irks me. But because the story is so damn heartbreaking and I finished the last chapters feeling some type of way. All the Bright Places has earned a spot in my top books of 2015. The lovely story of Violet and Finch is so worth reading. 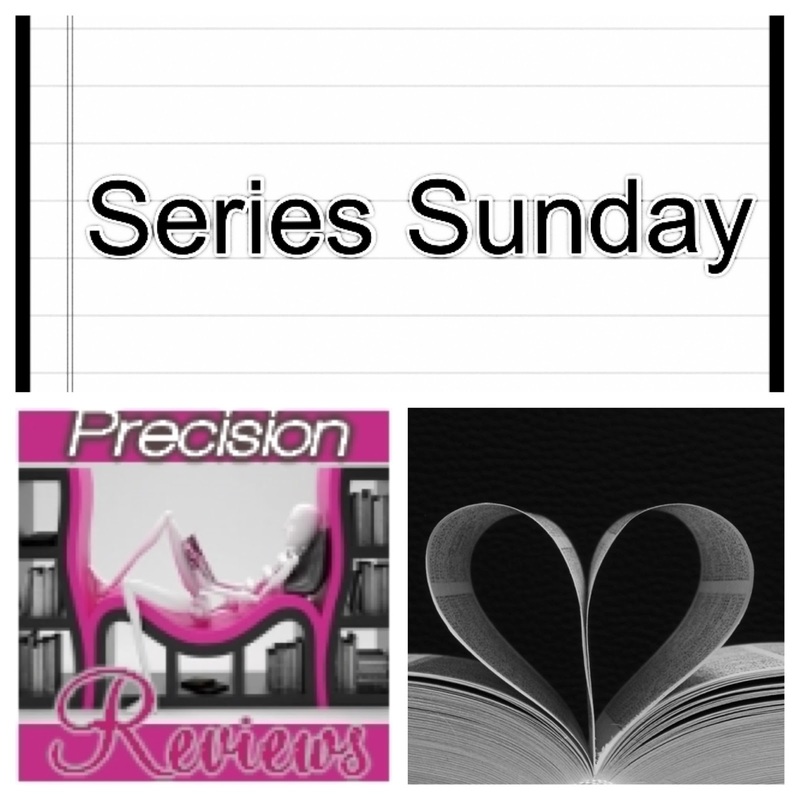 My Series Sunday pick is Night of Cake & Puppets, the second and a half (2.5) book in the Daughter of Smoke & Bone series by Laini Taylor. Karou calls her best friend a "rabid fairy with voodoo eyes." Timid by no means, Zuzana is a petite fierce chick. But when it comes to approaching Mik the violin boy, she is shy. 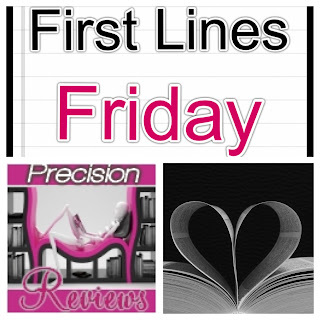 Zuzana comes up with a treasure hunt plan that will lead Mik to the ultimate treasure: her! I did not read the second book in the series yet but wasn't lost. 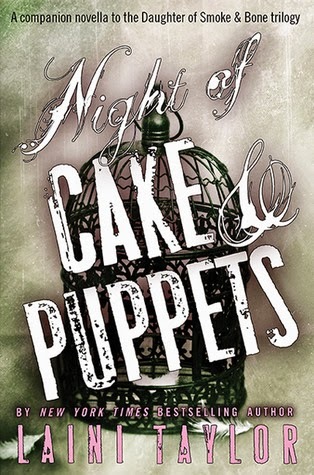 Night of Cake & Puppets can be read as a quick standalone or skipped altogether. Though it was nice to read about Zuzana and Mik, I am glad this book is only 100 pages. 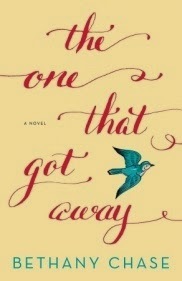 It is a nice "break" book while waiting on the availability of other books in your TBR pile. "Is today a good day to die?"